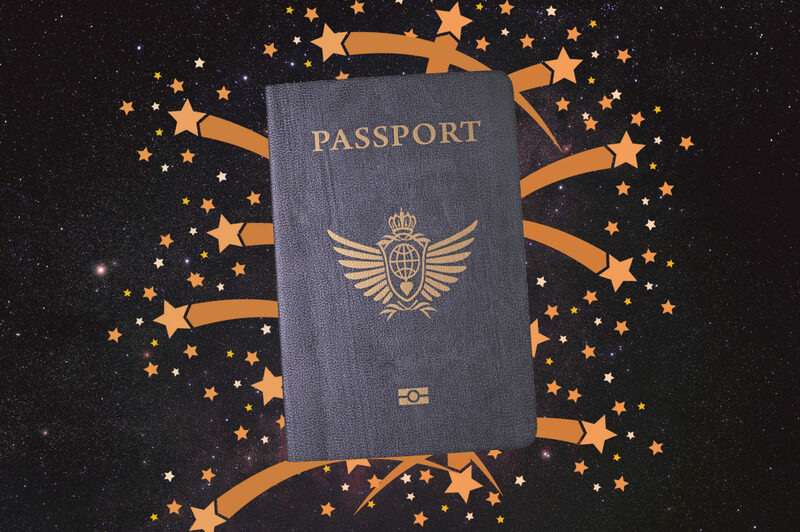 Summer’s in the air, which means it’s time to update your passport, buy some sandals, and consult the stars. The world may be your oyster, but it’s also a big, wide place with many exciting destinations to explore. Can’t seem to choose one? Then let the stars decide for you the #1 place you should travel this summer, based on your zodiac sign. Who needs a travel agent or Google when you’ve got astrology, right? Lessen the stress of vacation planning and take a chance by letting your zodiac sign decide where you should book your big trip over the summer break. From the enticing landscapes and tasty wines of Napa Valley to the beautiful mountaintops of Lake Louise, Canada, find out which destination fits the vibe of your zodiac sign. Aries love to be active, which is why they want to make their vacation more like an action-adventure movie. You want to hike, explore untapped territories, and basically unleash your inner Indiana Jones (whip is optional). Your best bet? Check out Lake Louise in Banff, Canada, which was voted the #1 adventure destination by National Geographic. A Taurus knows what it means to take a vacation. You like to relax, eat, and sleep, and you know how to do it like a BOSS. You also love to be connected with Mother Nature (you are an earth sign after all), so you want to make sure you’re surrounded by natural elements. Check out Napa Valley, California, which will give you the food, the wine, and the beautiful sights you crave. Super curious and loaded with as much energy as the Energizer Bunny, Geminis can’t stop and won’t stop while vacationing. You need to be constantly stimulated, which means you love to be lost, meeting the locals, and absorbing all the culture around you. Your dream vacay is Florence, Italy. Tons of art galleries and museums, a foreign language, and so, so much to see. Sensitive, nostalgic, and family-oriented — when you travel, you want to feel like you’re at home. You want to explore, but you also want to feel safe and cozy in your little shell. Which is why a home-y place like Martha’s Vineyard, Massachusetts is for you. You’ll love the cute cottages, sandy beaches, and small-town feel. “Go big or go home” is your attitude for life, so when you travel, you want to see the best of the best, Leo. The more luxurious and romantic the destination, the better. The ideal spot for you then is, obviously, Paris, France. Filled with top-rated museums, galleries, restaurants, and, of course, the scene-stealing Eiffel Tower. Virgos love to learn and also have a mystical streak. You like seeking out the history of a place as you understand how and why it’s evolved over time. No wonder you’re drawn to exotic locations that are steeped in rich history and traditions. You’ll love visiting Athens, Greece. As a Libra, you love elegance and beauty, as well as the opportunity to meet and connect with others. You love fashion and culture, including theatre and amazing collections of artwork, which is why you’ll want to visit London, England. There’s no better time to embrace your Meghan Markle sparkle. You love a good mystery and embrace the darker side of life. Anywhere that helps you get in touch with your inner self while also maintaining an intensity that keeps you interested is your go-to locale. Check out New Orleans, Louisiana, which is rich in mysticism, delicious food, and the best jazz music. The wanderer of the zodiac, you Sags love travel so much that you don’t care where you’re going. But because you love spreading your wings, you might as well go to a far-away destination like Australia, a land that is filled with tons of opportunities for outback adventure. You’re ambitious and practical, Cappy, and you rely on comfort. Not much of an adventurer, you like the classic things in life: a comfy bed, incredible food, and fantastic sights, which means you’ll love Tokyo, Japan. Cherry blossoms, a fast-paced metropolis, and sushi are totally your jam. Aquarians want a totally unique and memorable vacation, and that is so you. You follow life to the beat of your own drum, so you desire a break from the ordinary. You want to be in a place where you can learn something new, especially about yourself. Try Bali and have your own type of Eat, Pray, Love experience. Because you’re the fish of the zodiac, anywhere near water is your perfect place to visit. You’ll also want a locale that brings out your intuitive and romantic side, which is why you’ll want to visit Maui, Hawaii, and discover the beauty of the waterfalls, views, and gorgeous palm trees. There’s a big, beautiful world out there, friends. It’s time to go find and enjoy it.